After dropping last year's state championship meet, Christian Brothers Academy Swimming returned this November with a new mantra: "Mission Driven." Their mission? Returning the state championship trophy to the Academy, where it lived for seven straight years from 2010-2016. On Sunday night at the College of New Jersey, the Colts finished their mission, downing Bergen Catholic by a score of 107.5-62.5. The victory marks the program's ninth state title overall. Christian Brothers won nine of the 11 events, finishing second and third in the only two they did not take the top spot in. While the first half of the meet remained close, the Colts turned up intensity with back-to-back sweeps in the 100 freestyle and 500 freestyle events. Connor Wright, Ryan Burke and Mason Wolf took the top three spots in the 100 freestyle, while Sammy Rennard, Paul Retterer and Kevin Truscio did the same in the 500 freestyle. After that, Retterer and Tom Shea swam incredible anchor legs for a 1-2 finish in the 200 freestyle relay to put the finishing touches on a Colts title. "I couldn't be more proud of this team. They swim for each other and that's the recipe for a championship team," head coach Vito Chiaravalloti said. "After last season, they were on a mission all year to get back to the top, and when that moment came, they embraced it and swam with heart and determination." A mostly underclassmen-charged team, the Colts seniors played a huge role in the win. Wright won the 100 freestyle and 400 freestyle relay, Peter Warshaw was second in the 50 freestyle and first in the 200 freestyle relay, Issac Mercado was second in the 100 backstroke, and Dimitri Maldonado won the 100 butterfly. The Colts have been one of the most feared swimming teams in the state since Chiaravalloti took over in 2009. Aside from winning seven consecutive state titles from 2010 to 2016, CBA has never lost a Shore Conference Championship, winning 28 straight. 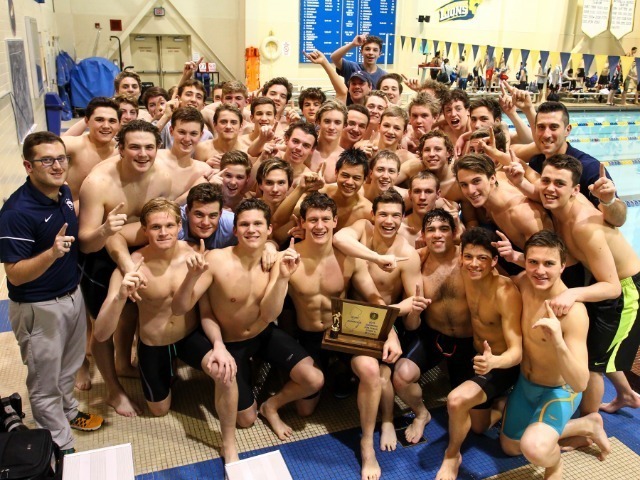 CBA's first swimming state title came in 1998, a team that featured Chiaravalloti as a junior. The 1998 team was inducted into the CBA Hall of Fame in 2015. "CBA Swimming is truly a family. From our incredible senior leadership down to the newest members of our team, everyone had a role to play in this," Chiaravalloti continued. "I want to thank our incredible coaching staff, parents, and all of our swimming alumni who continue to support this program. This championship is for all of them as well."